Monroe County (pop. 169,842) is south of Wayne and Pike counties, across the Delaware River from New Jersey. It’s one of 17 counties named for President James Monroe. The county has grown in every U.S. Census since 1890. 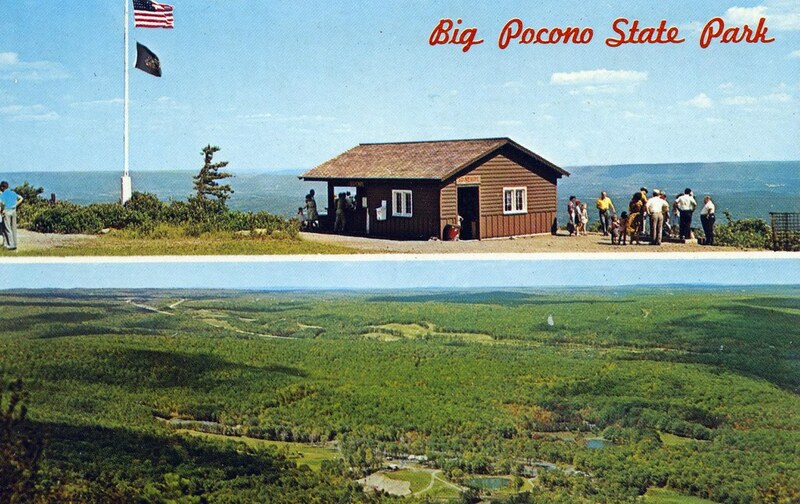 Its Pocono Mountains are popular for tourists, and it’s relatively convenient for commuters to New Jersey and New York. 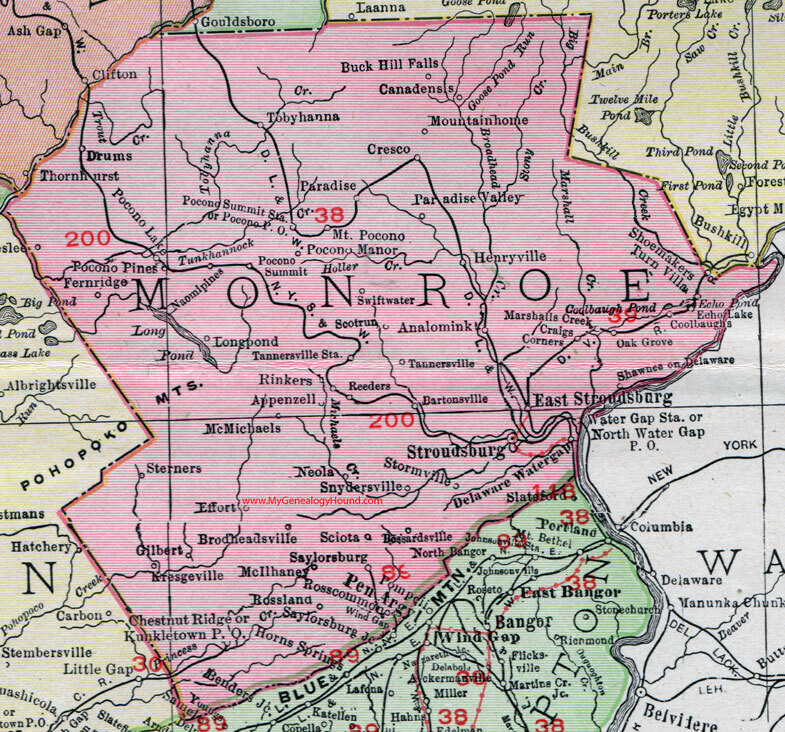 The county seat of Monroe County is Stroudsburg (pop. 5,567). 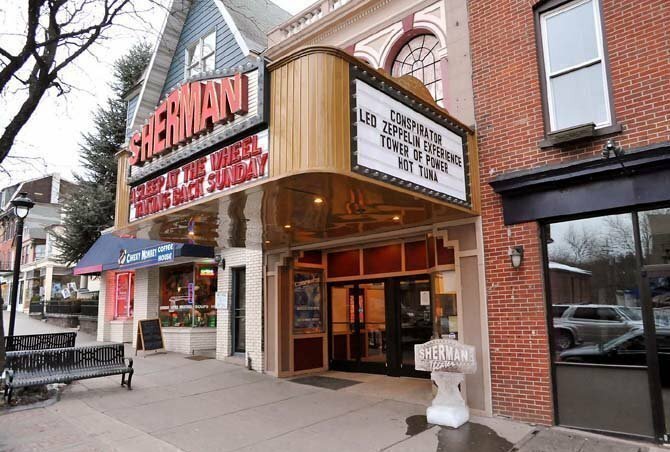 The Sherman Theater in Stroudsburg dates from 1926. 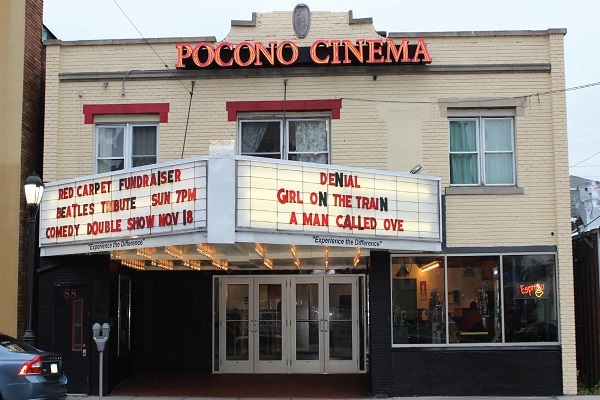 It now hosts a variety of concerts and other events. Just east of Stroudsburg is East Stroudsburg, which is larger than Stroudsburg, with a 2010 population of 11,922. East Stroudsburg University of Pennsylvania is a public university with about 7,000 students. It began in 1893 as the private East Stroudsburg Normal School. The unincorporated community of Tobyhanna is the home of the annual Tobyhanna Millpond #1 Ice Harvest, which recreates the ice-harvesting industry, which was important in the area more than 100 years ago. The community of Scioto is the home of Eddie’s Toy Museum. Monroe County has three state parks: Big Pocono, Gouldsboro, and Tobyhanna. 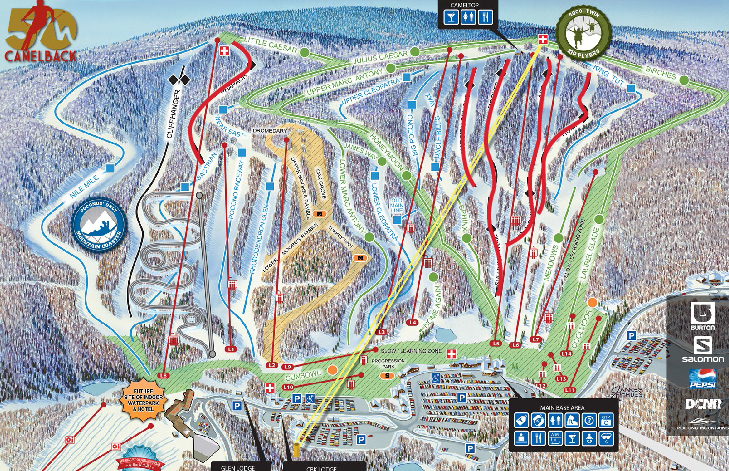 The Camelback Mountain Resort is a ski area with a top elevation of 2,133 feet and a vertical drop of 800 feet. There’s a waterpark in summer. Pocono Manor is a resort in Monroe County that was founded in 1902 by a group of Quakers from Philadelphia. Pocono Raceway (the “Tricky Triangle”) is a 2.5-mile course that opened in 1971. This entry was posted in Pennsylvania and tagged Camelback Mountain, East Stroudsburg, Pocono Raceway, Poconos, Stroudsburg, Tobyhanna. 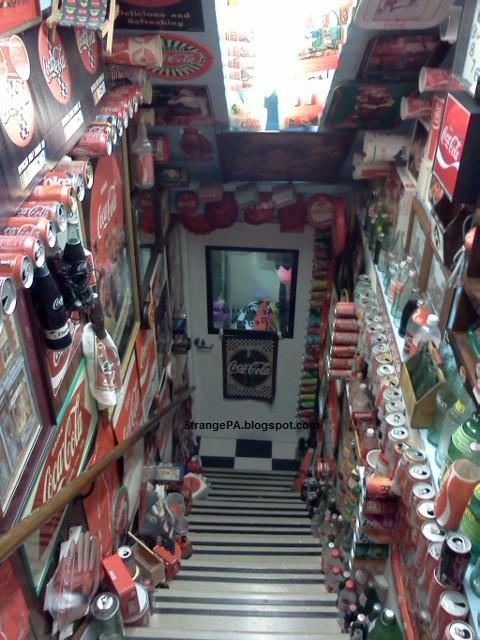 I LOVE the Coca-Cola stairway! thnx!